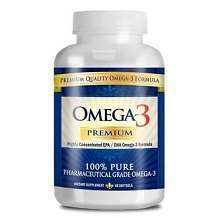 According to several studies in the past, Omega-3 is essential for one’s health because of its various effects. Nonetheless, having it sourced from your diet alone may not yield the right amount of fatty acids needed by the body. This is exactly the reason why people resort into the use of Omega-3 supplements like Fleurance Nature Omega-3. The essential polyunsaturated acids found in this supplement are needed by the body to have an optimized functioning and have a better defense against a variety of health problems. The natural formulation of this product is not only based on DHA and EPA, but is also combined with Vitamin E to ensure a higher level of effectiveness. It has also undergone a careful distillation process to remove all of the impurities that can potentially affect the finished product. 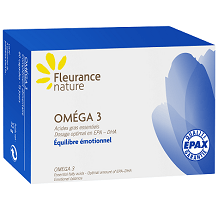 Amongst the many Omega-3 benefits possible with the use of this product, one that is commonly highlighted by the manufacturer is its ability to help improve mood through maintaining a balance in emotions. Aside from the health benefits, it also does not come with an unpleasant smell or taste, which is often the reason why other people dread the idea of taking Omega-3 supplements. The product contains 1,056 milligrams of EPA, which is way beyond the recommended dosage. On the other hand, the DHA is only 360 milligrams, which falls below the level recommended by health experts. As it has been recommended by the manufacturer, two capsules should be taken in the morning after breakfast and another two capsules at night after dinner. One bottle of the supplement can be purchased for 16.90 euros. Each bottle contains 60 capsules, which can be good for half a month of supply. From the website of the manufacturer, there are no specific policies with regards to product returns and refunds, which may make a purchase risky. Since the product is offered in the websites of third-party sellers, you might want to take a look at their specific policies to know whether a satisfaction guarantee is offered or not. In sum, this supplement can be a good choice because of having an affordable price. In a time wherein most people are on a tight budget, this can possibly present a viable alternative. It also has more than the recommended amount of EPA, which is a good thing. Nonetheless, it is a bad thing that the DHA content is way behind the level recommended. Another major drawback is the lack of product guarantee, which means you cannot have it returned and you will not be refunded if the product does not prove to be effective. If you exert more effort in evaluating the choices available in the market, you will see some products with attractive satisfaction guarantee from their manufacturers.